Maximum Gain: 68db. 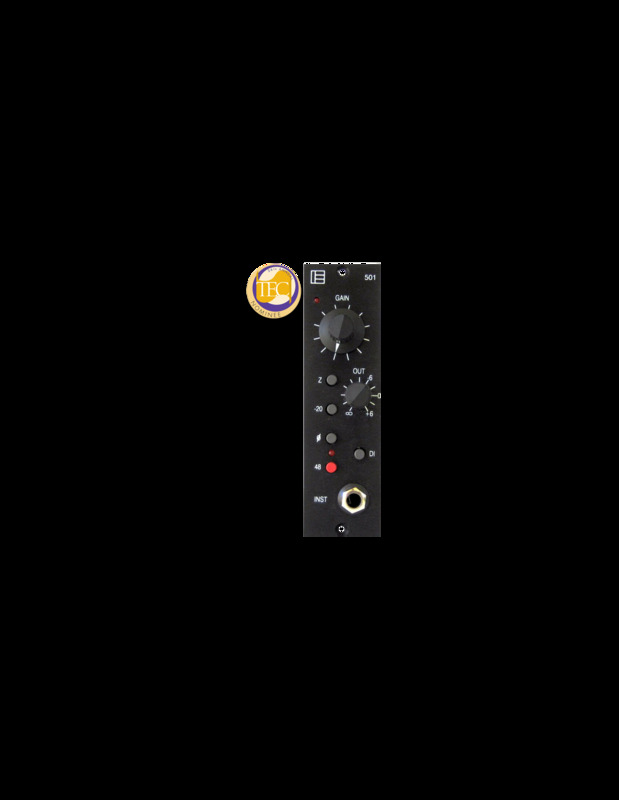 Adjustable over 50db in 2db steps with two ranges using 20db pad. Output level control: Infinitely adjustable from 0 (off) to +6db over unity. 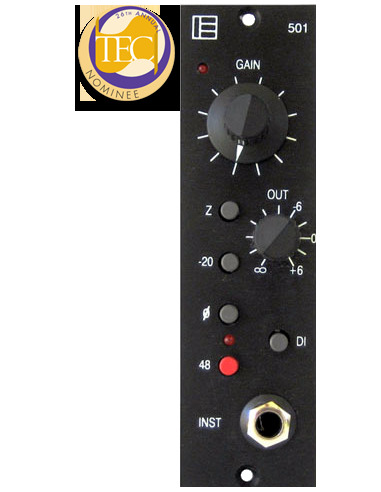 Input impedance: Microphone, 50 / 200 ohms selectable. DI, over 7 megohms. 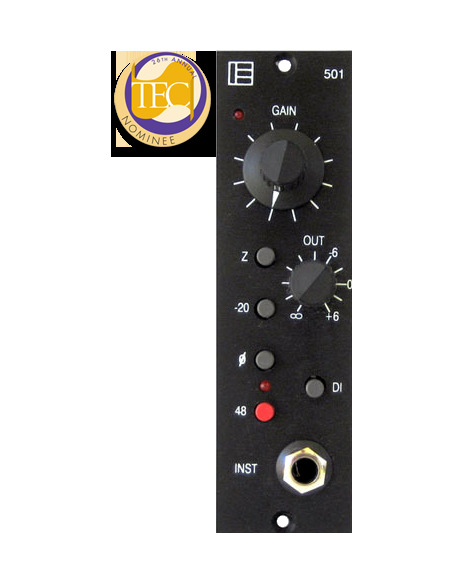 Output impedance: 150 ohms Distortion: 0.02%typical over entire gain range. Maximum output: +30db at less than 0.8%thd. (+29.5db at 0.06%thd) Frequency response: +/- 0.25db, 10hz to 60khz. 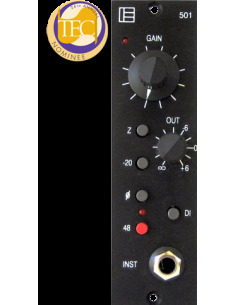 Signal to noise: -80db typ, -60db at absolute maximum gain.